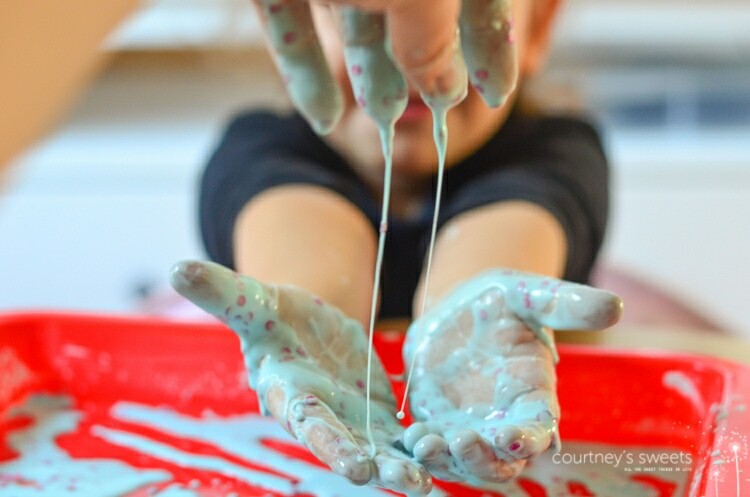 Try our easy slime recipe with cornstarch for a fun allergy free friendly craft! 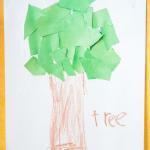 This fun activity uses things you probably have in the house already. Perfect for rainy days and homeschool. 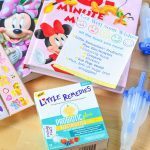 Plus we’re sharing how we’re Free to Be without allergies thanks to all® free clear, an allergy friendly laundry detergent that removes common, everyday allergens from your laundry. When my daughter was a baby, she had a rare food allergy. She had very few safe foods so she couldn’t play with some of the play doughs and slimes on the market. 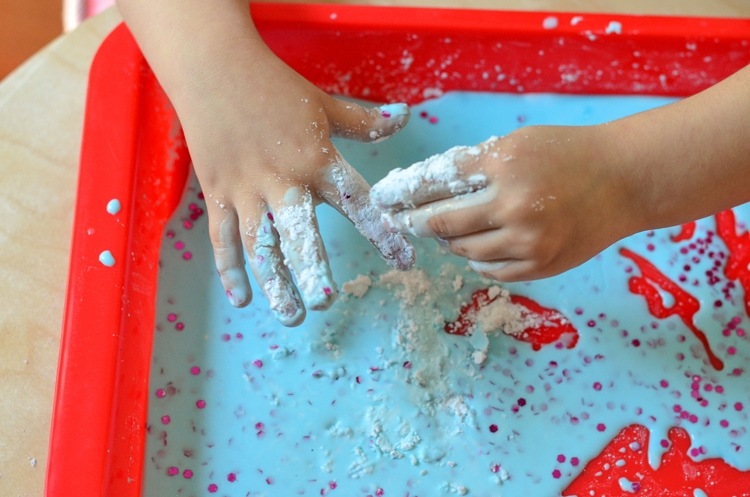 We took it into our hands, literally, and made homemade slime with two simple ingredients! Cornstarch and Water! 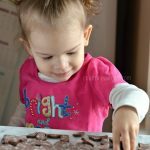 Kids put everything in their mouth, so it was very important that we used ingredients that were safe for her stomach, but also her extremely sensitive skin. She still has eczema and randomly gets idiopathic hives, oy! Did you know The National Eczema Association awarded all® free clear the Seal of Acceptance? Boom, sold! I love that we’re FREE TO BE! For a short time, I let the fear of her allergens completely ruin the fun. We were hesitant to play in leaves, hesitant to touch animals, but that’s no way to live. 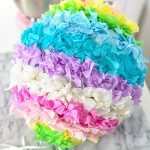 We don’t let our allergies get in the way of our fun! 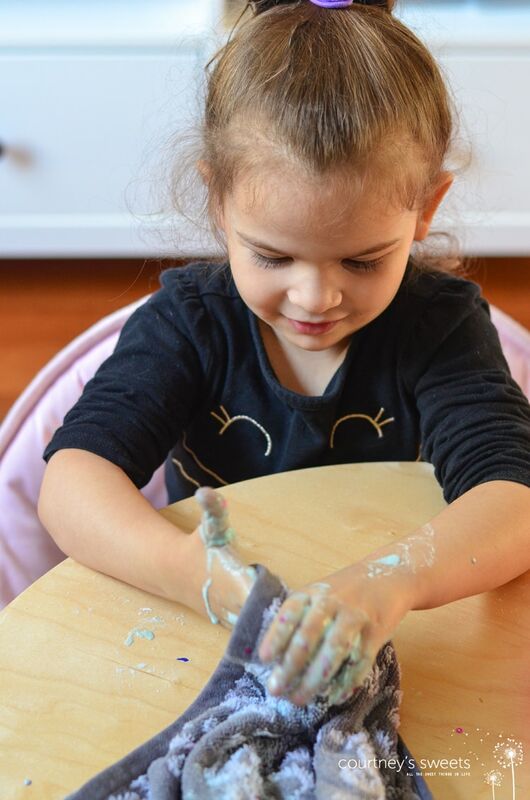 Since she’s gotten older, we have even more fun with our cornstarch slime recipe by adding in washable paint and glitter. She loves the glitter. 🙂 Due to her sensitive skin, it’s imperative that we use laundry detergent that is hypoallergenic. Her detergent must be perfume free, dye free and of course, it needs to clean. That’s why for her, we use all® free clear! When we clean up our slime, we know it will fight the tough stains with anything we throw its way. It whitens and even brightens colors. 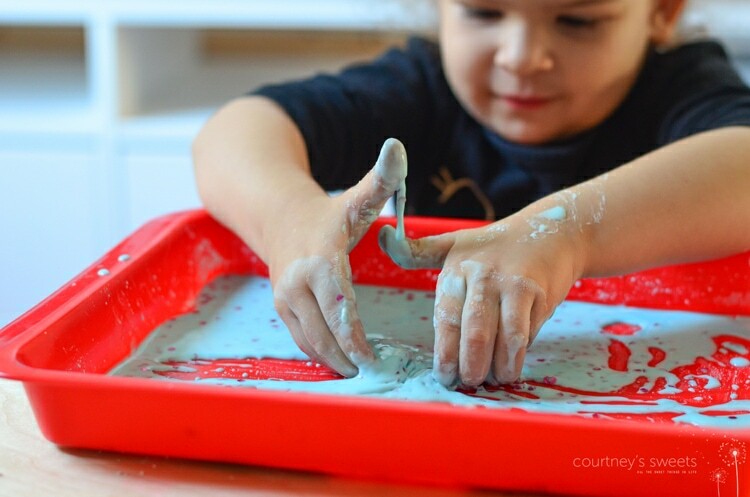 Watch our Easy Slime Recipe with Cornstarch video! 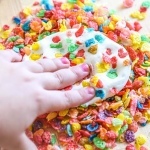 If you want it gooier you can also add some glue; we make our easy slime recipe with cornstarch only as the glue has irritated our daughter’s skin before. 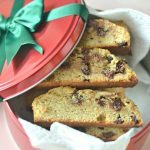 What we love about this recipe is how simple it is. You can add more water if it’s too thick or if it’s too thin add more cornstarch. When we clean up our slime, or any mess we know we know all® free clear will fight the tough stains with anything we throw its way. It’s important that our towels are allergen free too. 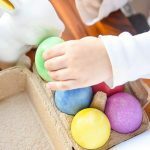 We use towels to clean the table, clean up after our messy fun crafts, and of course after taking a bath! 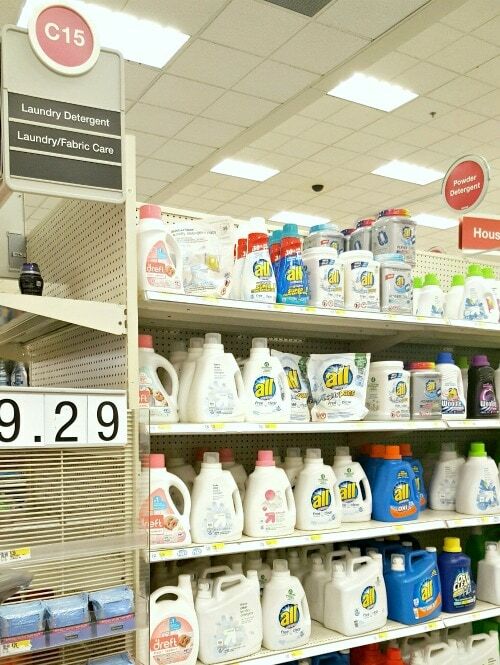 By using this detergent, we know we’re going to remove 99% of the top everyday and seasonal allergies*. It’s the #1 Recommended brand by dermatologists, allergists, and pediatricians for sensitive skin, in fact, her pediatric dermatologist told us not to use those detergents labeled for baby, just all® free clear and it’s more affordable! They’re the #1 Sensitive Skin Brand. Just yesterday we went to the farm which has a petting zoo and right after we took her sweater off in the car and washed it as soon as we got home. We wash her sweaters and coats often since she’s around dogs, cats, pollen, playing in the grass, etc. all® free clear liquid & all® free clear mighty pacs®. Why both? Well, I’m good with the liquid, and I’ll measure and pour it in. My husband is the type to open it up and just pour it in. No measuring and then we end up using it up quicker. 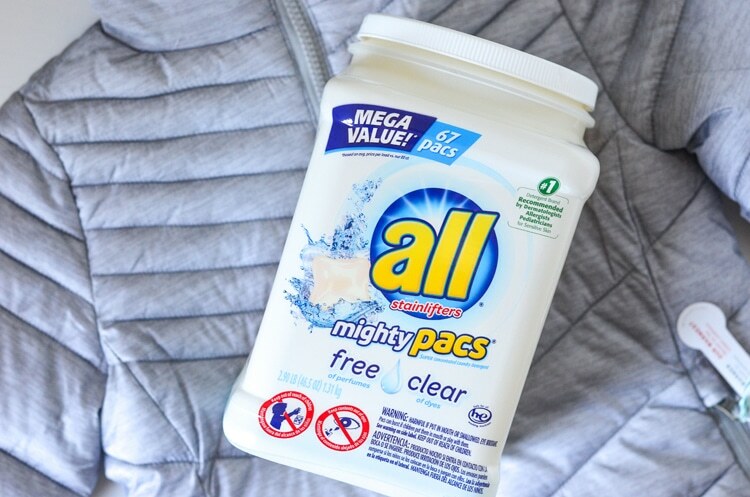 The all® free clear mighty pacs® are for when he does the laundry as it makes it much easier for him. *Dog and cat dander, dust mite matter, ragweed pollen, grass/tree pollen. all® free clear is not intended to treat or prevent allergies. 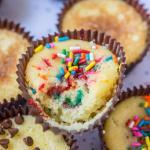 Mix ingredients to desired texture and color. *If using with children that put their hands in their mouths still we recommend using safe food dye and no glitter.